The fifth annual End of the World Marathon is scheduled to start at 5:30 AM on December 4, 2016 in Placencia Village. Runners will be competing in both a half and full marathon, and all proceeds raised from the event will go towards providing high school scholarships to local children on the Placencia Peninsula. In 2012, when the planet was gripped with Maya mania thanks to a popular interpretation that calendars produced by that culture were predicting the end of the world on December 21, running enthusiasts in Placencia organized the End of the World Marathon. The event was designed to allow runners to experience the gorgeous natural beauty of the peninsula while simultaneously celebrating the potential end of the universe as we know it. Well, the world did not end on December 21, 2012, and the marathon has now become a beloved local institution. The full marathon starts in Placencia Village with runners making a complete loop of the peninsula while the half marathon starts at the northern tip of the peninsula at the north end of Maya Beach with all runners competing to be the first to cross the finish line in Placencia Village. 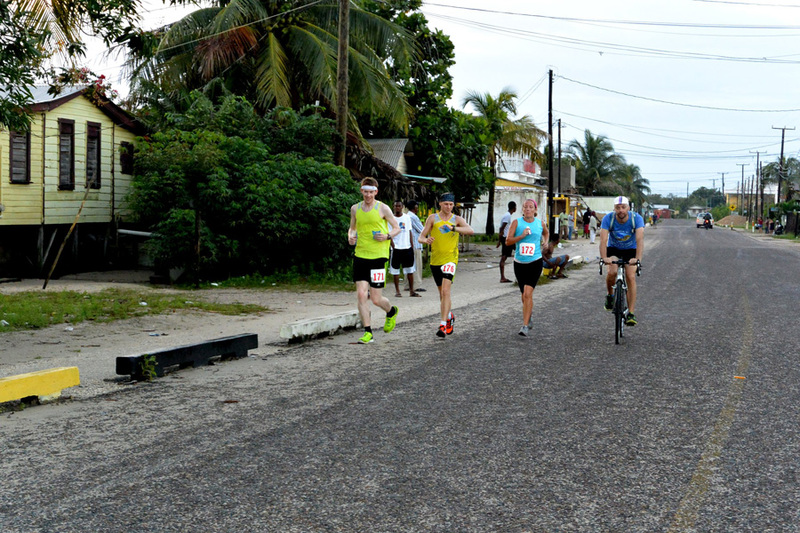 The marathon is open for runners from Belize as well as from other countries. All competitors will get a race T-shirt and be entered into a drawing for a special prize. Based in Placencia, Barefoot Rentals and Services is a premiere provider of SUVs, scooters, dirt bikes, and golf carts for rent. With one of our vehicles, you can easily follow all of the exciting action during the End of the World Marathon. We also offer rental discounts to participants who attend the marathon. With a fleet of modern, late model vehicles and a hassle-free booking and rental process, Barefoot is the name to trust when you want to see Belize. We look forward to seeing you at the marathon! « Why Visiting Belize in 2017 Should Top Your Must-Do List!